If powerful and muscular bikes give you sleepless nights, then this list will surely blow your mind away. 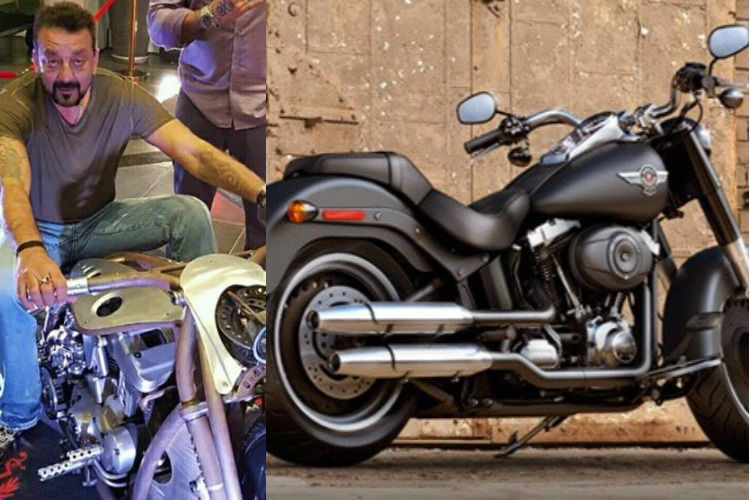 We have compiled some of the most drool-worthy bikes in this nation, owned by top Indian celebrities. 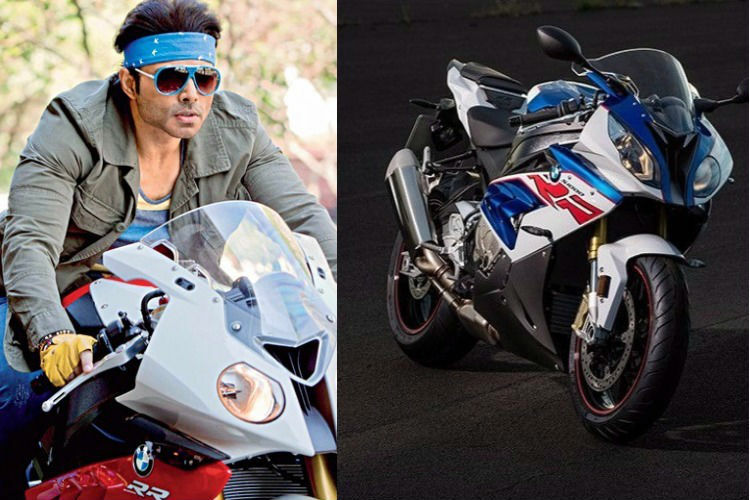 Here’s presenting a countdown of the top stars and their bikes. 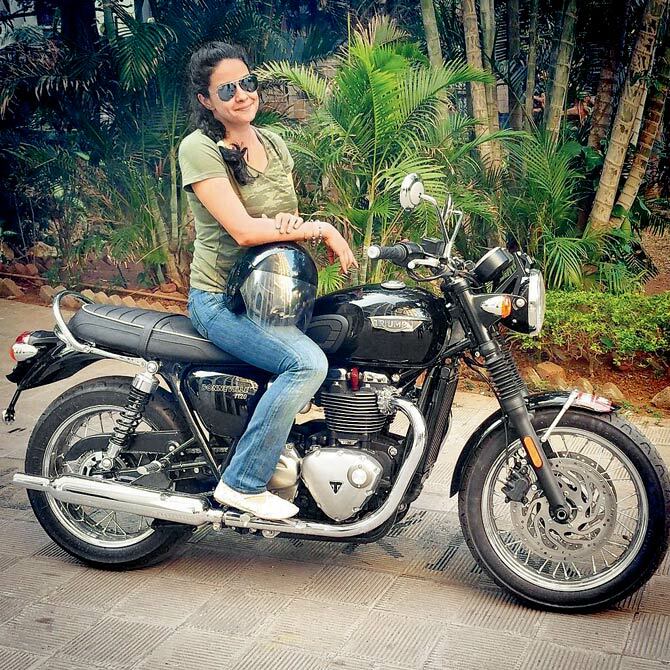 Gul Panag is passionate about biking. She, in fact, arrived on her wedding baraat that too also on bike. She owns a BMW 650 Fundura which costs around Rs 12 lakh. Ranvijay Singh has made the transition to an actor from being the host of MTV Roadies. He has starred in a few Bollywood movies and currently has his hands full with a daredevil TV serial. He owns a total of 8 bikes, among which there are many classics. In the list of two-wheelers is a Kawasaki Ninja ZX-7, which costs Rs 9.5 lakh. His success in films has not been much to write home about, except the Dhoom series and Mohabbatein. However, the hunk sure has an interest in bikes, and he gives them fancy names such as Betty, Anny and Esmeralda. 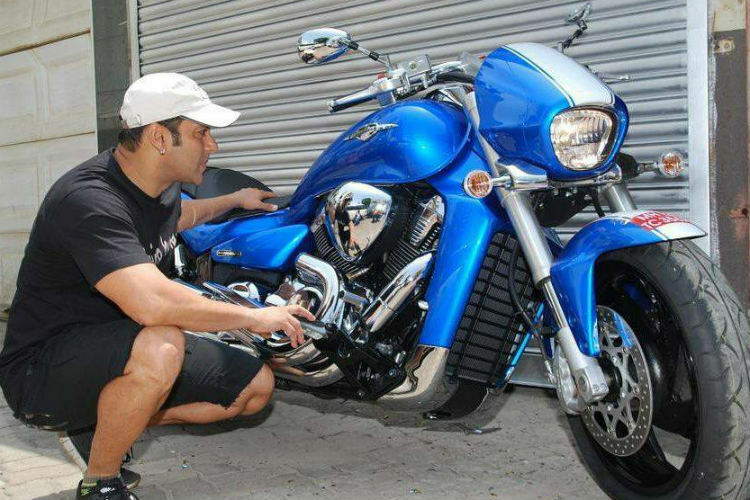 He owns three bikes from the Dhoom franchise, one being a Suzuki Bandit which costs Rs 10.75 lakh. The Dabangg! Star and philanthropist is extremely fond of his bikes and owns several of them, one of which is the Suzuki Intruder M1800 RZ limited edition, priced at Rs 15 lakh. 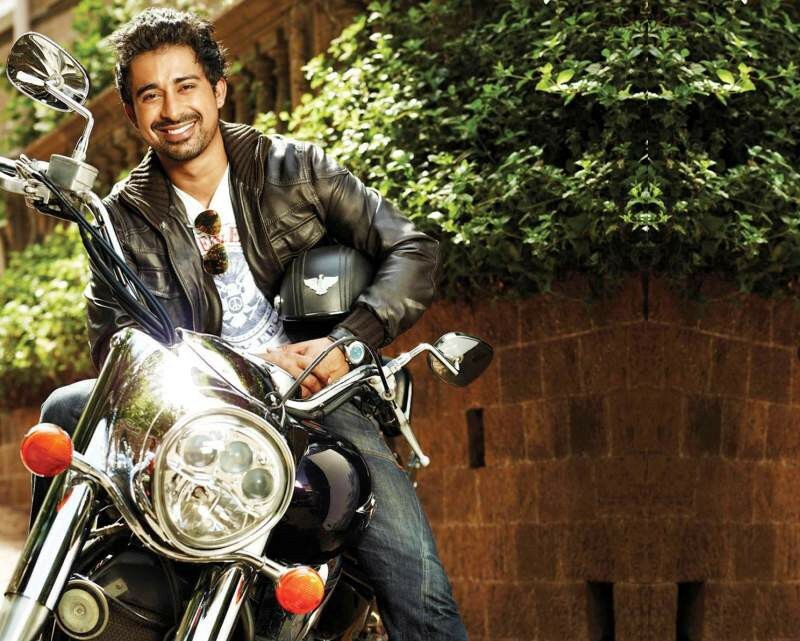 He also owns a Suzuki Hayabusa worth Rs 13.5 lakh and is the official ambassador for Suzuki motorcycles. 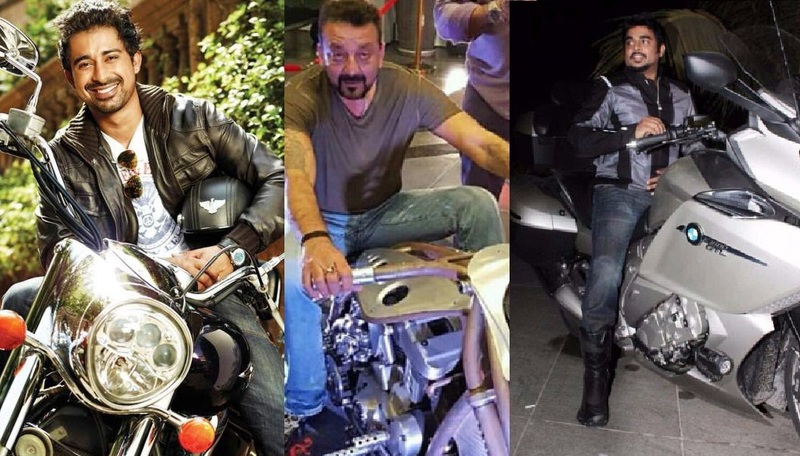 Sanju baba himself owns a black Harley Davidson Fat Boy. However, he was gifted a custom made Italian bike by Shahrukh Khan for doing a cameo in Ra One. This bike is worth a cool Rs 15 lakh. This actor has developed a name for himself which is independent of his famous father Pankaj Kapoor. With hits such as Kaminey and Haider under his belt, the man has surely proved his acting prowess over the years. 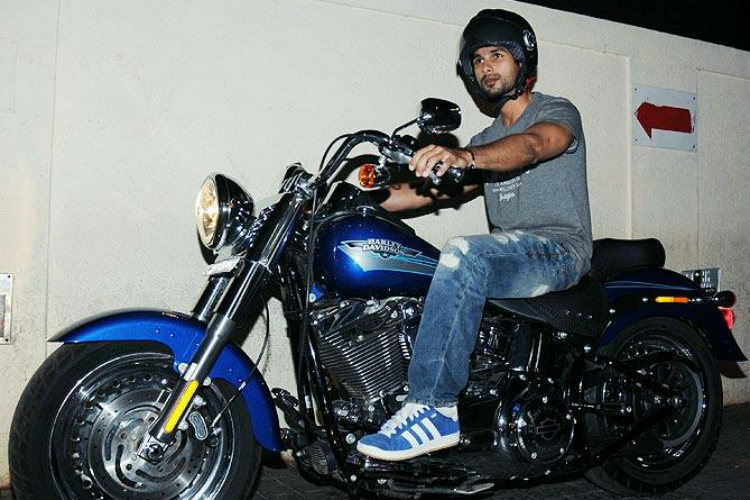 Among bikes, Shahid owns the Harley Davidson Fat Boy, a powerful chopper-style bike with an engine displacement of 1690cc. It delivers a massive power of 65 bhp and a torque of 132 Nm. It is currently priced at Rs 15.10 lakh. 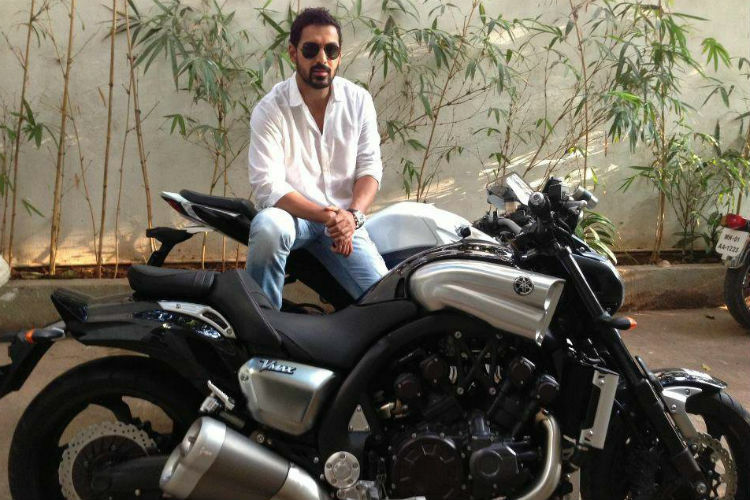 No one is probably as obsessed with two wheelers in Bollywood, as much as John Abraham. His bike collection is larger than most. Recently he got a custom bike from Rajputanas Limelight, called as the Light foot. This has been designed exactly as per John’s height, weight and stance. It is inspired by the design of the 1910 American Board Track Racer. Besides, John also owns the Suzuki GSX-1300R which costs around Rs. 16.45 lakh, Yamaha VMax and Yamaha YZF-R1. He is also the brand ambassador for Yamaha. 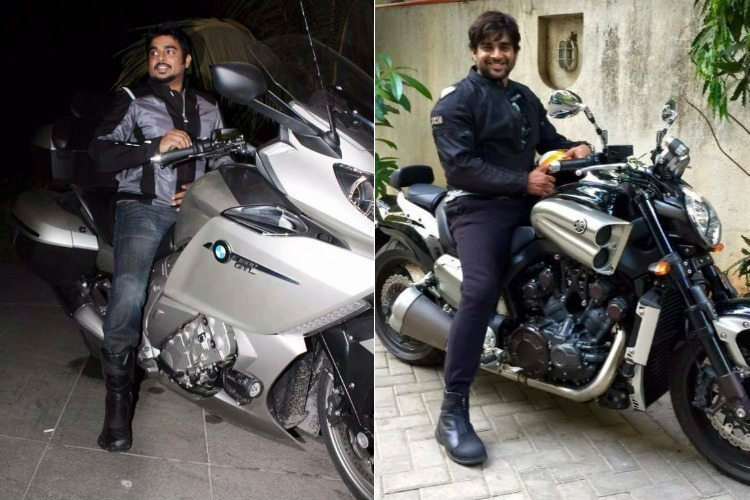 Southern superstar R. Madhavan has rarely been spotted riding his bikes, but is a big fan of muscular two wheelers. He owns a BMW K1600 GTL bike which costs Rs 24 lakh. Rohit Roy is the surprising entry in this list. Not many people know that he owns a super bike, Honda Rune 1900 CC. It is one of the rare models of Honda as only 600 pieces of the bike are available all over the world. The bike is said to have a worth of Rs 24 lakhs. This Singapore imported bike can reach up to the maximum speed of 400 Kms. 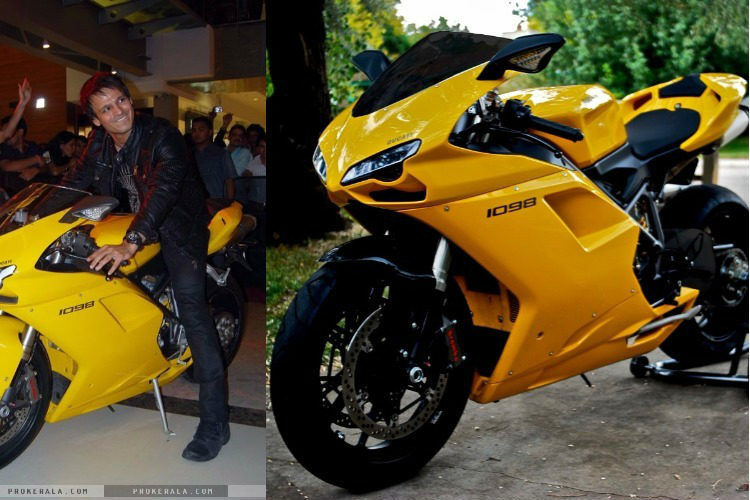 In the year 2010, actor Vivek Oberoi had purchased a yellow Ducati 1098. He is fond of superbikes, and in the company of friend Sanjay Dutt, seems to like them even more. His yellow machine costs Rs 45 lakh. 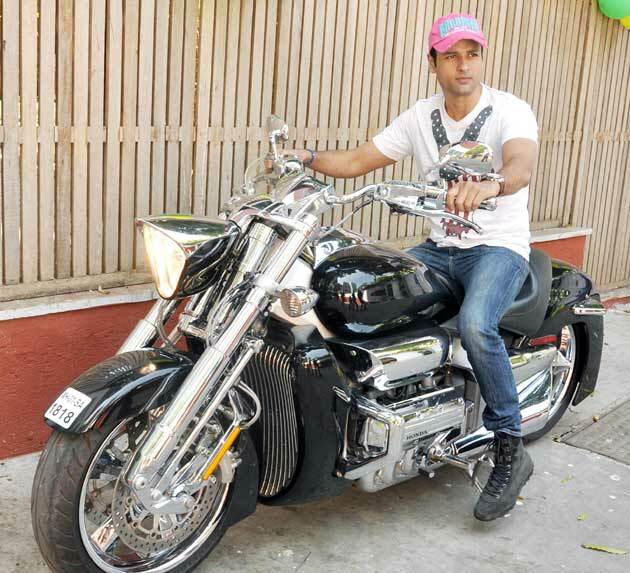 Captain Cool Mahendra Singh Dhoni is known for his fetish of motorcycles. He has a huge collection of bikes back in Jharkhand and has been photographed numerous times on a variety of bikes. 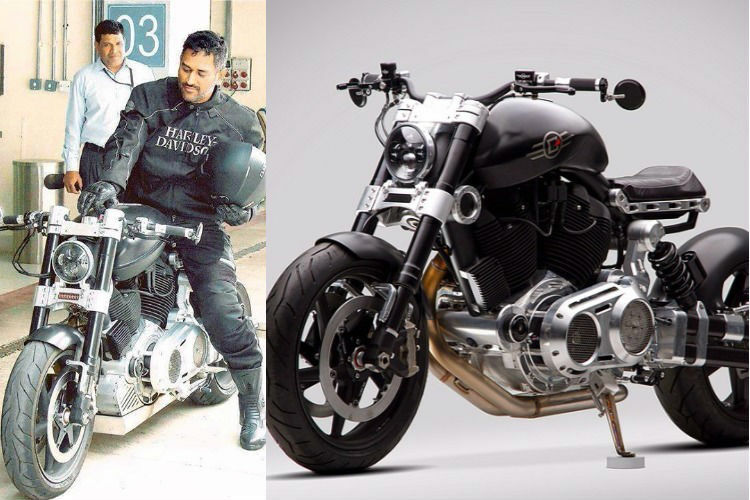 His favourite is the Hellcat X132, a 2163 cc monster he recently rode at the Buddh International Circuit, Greater Noida. It is priced at a mammoth Rs 60 lakh! 10 Most Expensive Gifts Given By Bollywood Celebrities – No. 1 Cost 75 Crores.